It has been almost a decade since the driving force behind one of the most popular bands in Québec took his life in May of 2000. The band was Les Colocs, and André “Dédé” Fortin was the composer and lead singer for the band, which he pulled together in 1990. It could be said that the songs that made the band famous were songs of the people. The lyrics emphasized humanity, simplicity and social conscience, especially when it came to poverty. Fortin and others in the band were passionate sovereignists. 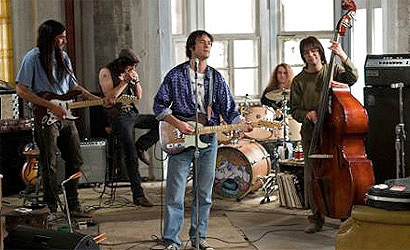 The defeat of the “Yes” side in the 1995 Quebec referendum may have provided the trigger that sent the charismatic band leader into a downward spiral, but in this movie Fortin`s life plays out through his music. It is primarily set in St-Etienne-de-Bolton, Québec, where the band had retreated to work on what would become their final album. For almost a year, Fortin wrote the songs while he personally slipped out of control enjoying sublime moments of creation to periods of deep anguish. 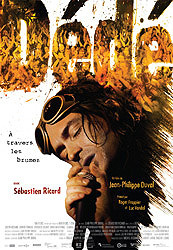 Originally released only in French, a new version with English subtitles was rushed into production to satisfy Fortin`s legion of non-Francophone fans in Québec.